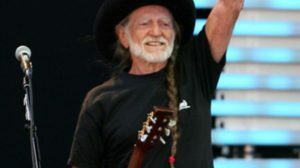 The second Crossroads Guitar Festival, a daylong concert featuring legendary music and collaborations, was held on July 28, 2007 to benefit the Crossroads Centre in Antigua. 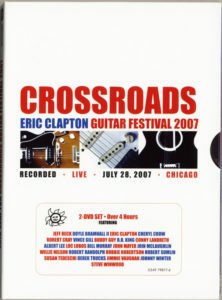 This 2-disc DVD is the follow-up to 2004 s certified eight-time platinum DVD Crossroads Guitar Festival. The festival displayed a wide range of styles from rock to blues to country and featured myriad artists including the infamous Eric Clapton. Highlights include Clapton regrouping with Blind Faith band mate Steve Winwood, a virtuosic instrumental set from Jeff Beck, Vince Gill performing along with Sheryl Crow and Willie Nelson, and much more. Over four hours of material featuring the world s greatest guitar players is presented in 5.1 Dolby surround sound. Royalties from the sale will go to benefit Crossroads Centre, Antigua. This entry was posted on Sunday, June 17th, 2018 at 7:12 pm and is filed under Movies, Videos, DVDs. You can follow any responses to this entry through the RSS 2.0 feed. You can leave a response, or trackback from your own site.